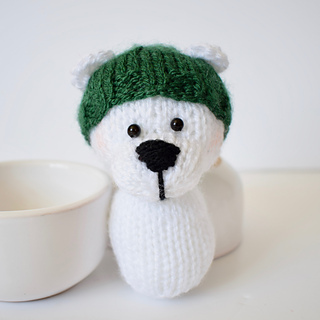 One size: Polar Bear is 10cm tall, Santa 11cm tall and Soldier 12cm tall. 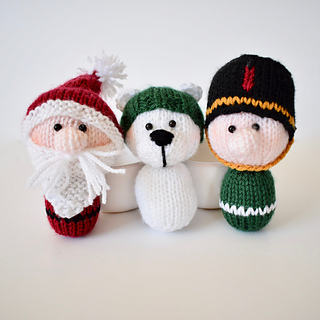 Knit three adorable decorations to adorn your tree: Santa, a polar bear, and a toy soldier. 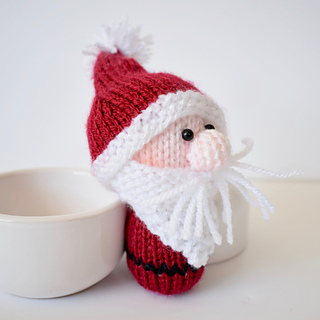 ABOUT THE PATTERN: The pattern has row numbers for each step so you don’t lose your place, instructions for making the three characters, photos, a list of abbreviations and explanation of some techniques, a materials list and recommended yarns. The pattern is 5 pages and written in English. 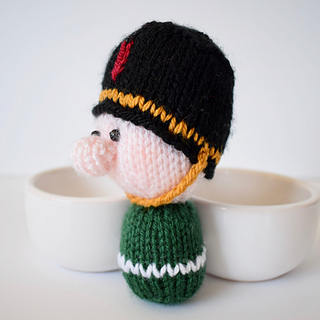 TECHNIQUES: All pieces are knitted flat (back and forth) on a pair of straight knitting needles, apart from the soldier’s chin strap which is a single crochet chain. You will need to cast on and off, knit, purl, work increases and decreases, sew seams, and duplicate stitch (Swiss darning) embroidery to decorate. This is an updated version of my Christmas Characters pattern, first published in Let’s Get Crafting magazine in 2016.